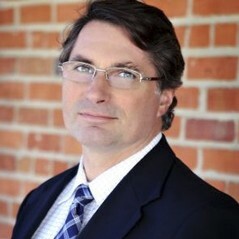 Jim is a partner and co-founder of Tillery Capital and serves on the board of directors of Tillery Capital's portfolio companies. In 2000, Jim founded and became President and CEO of Buck Engineering, an environmental engineering and consulting firm. The firm's focus was on stream and wetland mitigation, transportation planning, and environmental document preparation. Jim managed the rapid growth of the company and in 2005 and 2006 Buck Engineering was named to Inc. Magazine's list of the fastest growing 500 companies in the U.S. In 2004, Mr. Buck co-founded Riverworks, Inc., an environmental construction company, providing construction services that were complimentary to the engineering work performed at Buck Engineering. In April 2006, upon successfully growing Buck Engineering, the company was sold to Michael Baker Jr., Inc., a publicly traded, 4,500 person national engineering firm. In October 2006, Riverworks was sold to a strategic buyer. Prior to founding Buck Engineering, Jim held several executive positions with an environmental engineering and consulting firm, the US Army Corps of Engineers and the North Carolina Department of Transportation. Jim is a Professional Engineer, licensed in eight states throughout the Southeastern U.S. He holds a B.S. degree in civil engineering from the United States Military Academy at West Point, a MBA from the State University of New York at Buffalo, and a master's degree in civil engineering from North Carolina State University.